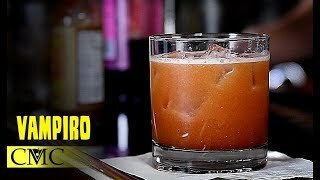 A custom-made drink for Eddy Buckingham's bar, this drink is simple to make, but much more potent than some of his other creations. 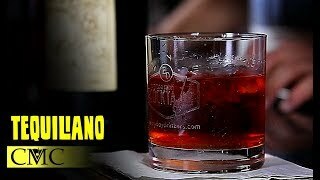 Two parts tequila, one part Campari, one part Sweet Vermouth and half a part of agave syrup is poured over ice in a rocks glass and garnished with a slice of orange. 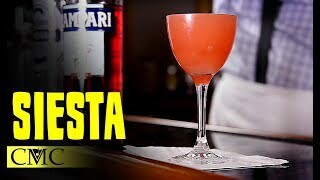 How To Make The Siesta Cocktail | Derrick Loves Campari?